Dr, What are the treatment of oral cancer? What are the treatments of Oral Cancer? Major Oral Surgery is usually done in the operation theatre. In cancer of the mouth, radiation therapy may be used alone to treat small or early-stage tumors. More often, radiation therapy is used after surgery, either alone or with chemotherapy for more advanced tumors. The method of radiation treatment used depends on the type and stage of cancer. Proton therapy delivers high radiation doses directly into the tumor, sparing nearby healthy tissue and vital organs. After the removal of tumour(eg at the upper palate) it leaves a hole, therefore obturator prosthesis is needed. Oral cancer and its treatment often cause difficulty in speaking, swallowing and breathing. We work with you, defining your needs and making sure you receive the care you need. This may include speech, occupational and physical therapies and other methods. After treatment, some patients with oral cancer need plastic or reconstructive surgery to help restore their appearance or regain the ability to speak or swallow. Sometimes the surgeon can perform reconstructive surgery at the same time as your cancer surgery; in other cases it is best to wait. Your doctor will recommend the method that is best for you. If reconstructive surgery isn’t possible, you may be fitted for a dental prosthesis or implant. A therapist will show you how to use the device. Sometimes, grafts of skin, muscle or bone, which are moved from another part of body to the mouth, are used. Even though the cancer seems to have been completely destroyed or removed, the disease may sometimes return. This is because undetected cells may remain in the body after treatment. Therefore, follow- up care after treatment is very important for oral cancer. Once you finished the treatment, your doctor monitors your recovery and checks for recurrence of the disease. Check-ups include exams of the throat neck and mouth. He often does a complete physical exam, take x-rays or suggest blood tests. Your doctor suggests you inspect your mouth regularly and keep on having exams when you visit him. These check-ups help notice any change in your health. You should report your doctor any changes in your mouth right away. People, who have had mouth cancer, are at risk of developing a new cancer in the mouth, throat or other areas of the head and neck. This is especially true in case of people, who drink alcohol or use tobacco heavily. Therefore, doctors strongly warn their patients to stop using tobacco or alcohol to reduce the risk of oral cancer and other health problems. Proper care after oral cancer is as important as its treatment. Therefore, the patient should obey all the instructions of their dentist strictly to prevent future occurrence of the disease. 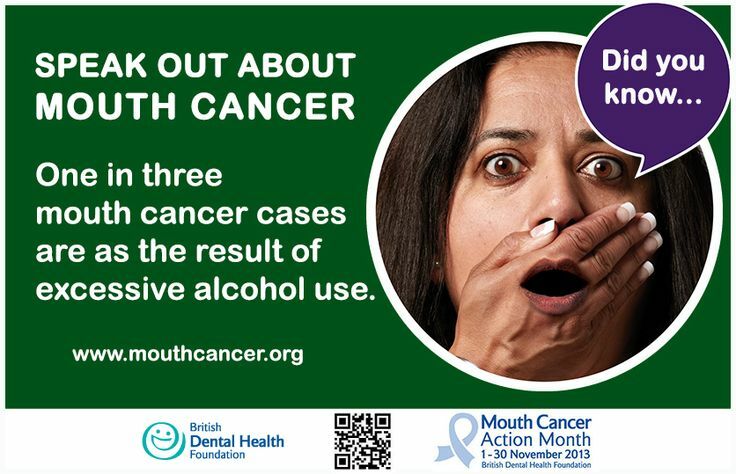 Oral cancer/ mouth cancer is basically an abnormal growth found in our mouth. This cancer can be detected during routine mouth examination. Oral cancer commonly occurs at our cheek, tongue, floor of the mouth and lip. This is fortunately one of the best cancers to detect early, because it presents in a part of your body that is so prominent and easily seen by yourself, your family and friends. How to do self-examination for mouth cancer? One further step in good home oral care is regular self –examination for oral cancer. Keep in mind, any sore that has been in the mouth for more than a week should be brought to a dentists attention at once. The chances are good that it will prove not to be malignant, but we are better able than ever to diagnose and treat precancerous conditions, and early detection is of the greatest importance. You can play a major part in preventing oral cancer or catching it while it can be readily treated and cured if you take the time to examine the mouth regularly for any signs of disease. Get ready these items: flashlight, small mirror (optional), piece of gauze/toilet paper, wall mirror, and spoon. Look at yourself in the mirror – both sides of your face and neck should look the same. Look at the skin on your neck and face for any changes in color, moles that have changed, lumps or sores. Feel both sides of your neck gently with your fingertips. Gently place your finger over your “Adam’s Apple” and swallow.It should move up and down, not to the side. Report any hoarseness that doesn’t clear up within two weeks. Use a spoon to stretch your cheek. Feel your tongue with your fingers. Use your index finger to press gently on the roof of your mouth, and floor of the mouth to feel for any changes. Doctor, What is Mouth cancer? Q: Doctor, WHAT IS MOUTH/ ORAL CANCER? However, cancer can occur in the mouth, where the disease can affect the lips, tongue, cheeks and throat. It can be life threatening if not diagnosed and treated early! 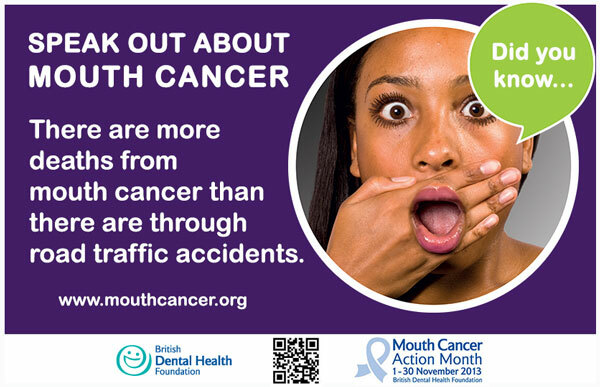 In Malaysia, five in every 100,000 men in have oral cancer; while four in every 100,000 women have oral cancer. Oral cancer is the 11th commonest cancer in Malaysia, with Indians having the highest risk, followed by Malays and Chinese. Sabah and Sarawak have higher prevalence of oral cancer compared to peninsular Malaysia, this probably due to their oral tobacco habits. There are about two new cases of oral cancer were diagnosed every day in our country. This is quite a substantial figure although oral cancer is not among the commonest cancers here. 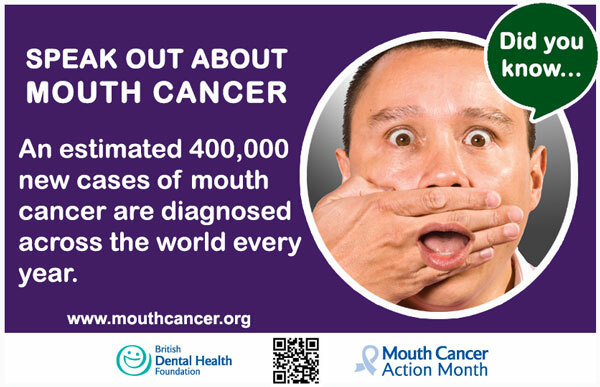 Throughout the world, oral cancer is the 6th most common cancers. Q: Am I at risk of mouth cancer? Generally, the risk factors of oral cancer are smoking, tobacco habits (dip, snuff, or chewing tobacco products), alcohol consumption, excessive sun exposure and immune problems. However, some specific areas of the mouth has specific risk factors. For instance, the floor of the mouth tends to be associated with smoking and alcohol, whereas the cheeks tend to be linked to chewing betel and tobacco. 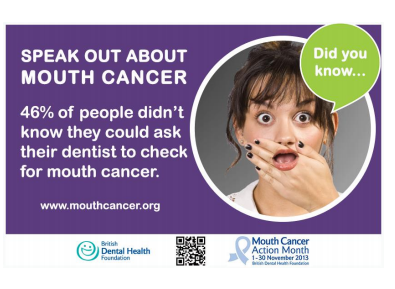 Anyone can be affected by mouth cancer, whether they have their own teeth or not. Average age of getting oral cancer is about 60 years for the three main races. For the indigenous people, it is about 55. Man with diagnosed of mouth cancer higher can women. 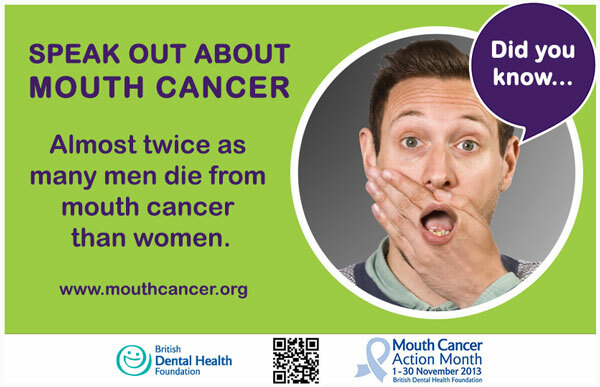 However, research has shown that mouth cancer is becoming more common in younger patients and in women. Early detection can saves lives! If you're at risk, get a mouth screening with your dentist!